HIS SMALL TOWN PRINCESS will be featured during the Romance Reviews YES (Year End Splash) party. Romance readers, this is a great opportunity to stock up on great reads, but don’t miss out on all the great prizes, free books and gifts given away by the authors. A great event for the entire month of November! There are games to play and book questions to answer and–did I mention–prizes, prizes, prizes! Just click on the event poster to enter the party in November, and good luck! Enter my latest giveaway. Two lucky winners will win copies of Nobody’s Baby. How do you enter? Click on the link below to my Facebook page and follow the directions on the giveaway post there. Easy-peasy! 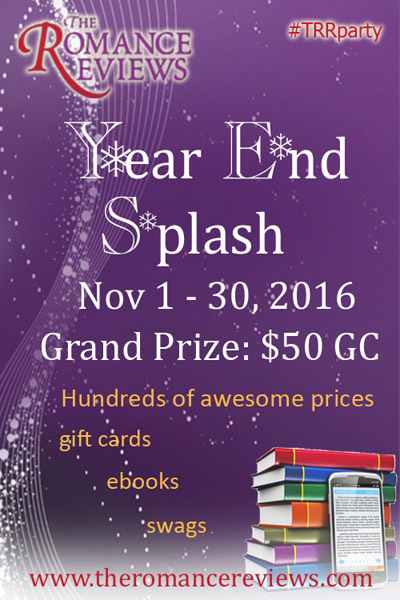 I’m participating in The Romance Reviews’ Year End Splash (YES) party and giving away a copy of His Small Town Princess. Enter by completing my Q & A (I think it’s #1) at the TRR PARTY SITE , then check out the other great prizes offered. There’s a ton of ’em! Sheila, the picture below reveals that you’ve won a fancy coin purse and bracelet, a magnetic note pad and swag! Do you still like to hold a book in your hands? Print books still line your shelves? Then this giveaway is for you. 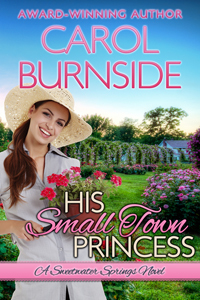 I’m giving away five (5) print copies of His Small Town Princess on Goodreads. All you have to do to enter is click the “Enter Giveaway” link below. Good luck! Giveaway ends December 17, 2016. If you’re looking for ebooks – I’m giving away a copy of His Small Town Princess at The Romance Reviews’ Year End Splash (YES) event (see THIS POST). 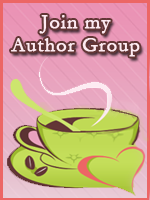 I’m partying with a bunch of authors and extending an invitation. Join us! Blog Posts by tons of authors. Learn more about the authors, the stories behind the stories, the inspirations, the ideas. See the pretty covers, read the excerpts. Shop. Enjoy! Enter to win tons of PRIZES and a BIG GRAND PRIZE ( Psst…$100 GC!!). So, click the Spookapalooza banner above, come join in the fun and find new books to read.